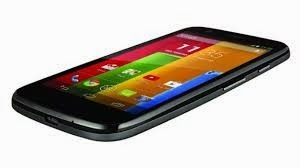 Motorola recently announced its latest quad-core jelly bean smartphone- the Motorola Moto G.
Motorola G runs on a Android 4.3 Jellybean which is upgradable to 4.4 KitKat. It is powered by 1.2GHz quad-core Snapdragon 4. The mobile phone features also 4.5-inch 720 x 1280 display, 5 megapixel camera with LED flash paired with 1.3MP front-facing camera, 8GB, 16GB internal memory and among others. For more details, blog, unbox and review about Motorola Moto G, check out Motorola website and their Facebook Page. Visit the nearest Motorola store, kiosk and accredited dealers for other inquiries.